To make to conform or agree, bring into harmony. Leather aprons were worn centuries ago by stonemasons to protect their skin and clothing, as well as to carry their tools. Today, lambskin or cloth aprons, often elaborately decorated or embroidered, are worn by members as a symbolic connection to those medieval craftmen from which it is purported that we derive our Masonic tradition. A building block. A “rough ashlar” is one that has merely been excavated from a quarry. A “perfect ashlar” is one that has been squared and polished, and thus made fit for a builder’s use. Speculative Masons take the ashlar as a symbol for their minds and consciences. term used in Masonic degree rituals to describe the moment when a candidate has his hoodwink (blindfold) removed, with implications of a more profound enlightenment. Also see “Enlightenment”. A boundary, as between properties, limit. The art of architecture and stonemasonry is relied upon as the source of the allegorical methods and symbolic tools applied in the art of Speculative Freemasonry. The term also alludes to the designs and handiwork of the Grand Architect of the Universe (G.A.O.T.U.). not recognized by the Grand Lodge of Florida. Also the Celestial Lodge or the “House not made with hands”. These are names by which Masons typically refer to that transcendent realm which awaits them after death, and/or an archetype of social and fraternal perfection.. 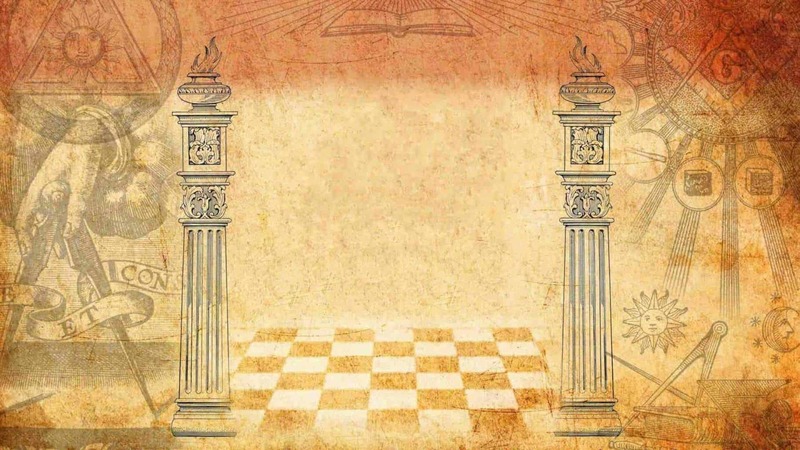 However, due to the nonsectarian nature of Masonry, some Masons may interpret it differently, and even as a state of consciousness that is available to us here and now. To draw a circular line by the compasses; symbolic of the boundary line of Masonic conduct. Concealed, usually for some secret or illicit purpose. In Freemasonry, illegal, not authorized. Opening made by a crack or crevice, a hollow between two parts. A Masonic term which means intruder or one who accidentally enters where he is not wanted. This is not to be confused with the word eavesdropper or one who deliberately tries to overhear and see what is not meant for his eyes and ears. Another term for Masonry, which implies that there are certain skills to be learned and developed within a system of apprenticeship and mastery. Indications of the level of membership and knowledge of Freemasonry principles. The basic degrees of Masonry are Entered Apprentice, Fellowcraft, and Master Mason. a document, bearing the seal of a Lodge and attested to by the Secretary. In most states, it shows that a Mason is leaving one Lodge in order to join another. definitions of this term are understood to be inadequate, but it refers to the direct and conscious realization of the essential nature of being, which concepts alone cannot attain. In common Western usage the term is somewhat synonymous with illumination, revelation and epiphany. When capitalized, as in ‘Enlightenment’ or ‘Age of Enlightenment’ it refers to the period of time (roughly the mid-1600’s to about 1800) when the ideas of rational thought and liberty developed. Modern Freemasonry is often said to be a product of the Enlightenment. The use of equivocal language, e.g., words capable of two interpretations, cryptic, evasive, ambiguous. also Great or Supreme Architect etc. This is a term used by Masons to refer to the Supreme Being, which Masonic ritual also refers to as the Creator, Deity, and God. 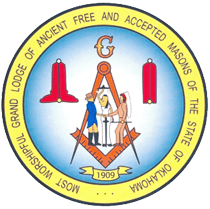 Masons are required to profess a belief in a Supreme Being, but according to Anderson’s Constitutions of 1723 every Mason has the right to maintain his own beliefs and religion. Therefore every great religion of humanity is represented within the fraternity of Masonry. The elected leader of the Grand Lodge. From the Latin “guttur”, the throat. The manner or position in which something is situated (lay). To set (a piece of wood, metal, etc.) into a surface to form a design that is usually level with the surface (inlay). The symbolism of light has many philosophical, psychological and spiritual implications. Every Mason of every degree claims that light is what he seeks, and Masonry promises to deliver it in some measure, though it also instructs its members that further light must be sought beyond the traditional instructions and explanations of its ritual. In this context, Masonry alludes to the light of insight and understanding. An important Masonic reference to light regards its prominence in the act of creation, as recorded in the first chapter of Genesis. An ancient nonsectarian fraternity with initiatory ritual and symbolism based upon legends about the building of King Solomon’s Temple. having willfully told a lie while under lawful oath or affirmation; having broken an oath. One not initiated into the Fraternity of Craft, a non Mason. The monthly or bimonthly lodge meeting to conduct regular business, receive new members, and vote upon the Application for Degrees. As used in Worshipful Master, From the Anglo-Saxon, worthship (worthy); honorable or respectable. The term has no religious or sacred implication. also called Master of the Lodge, is the chief officer of a lodge.